Step2. Your attitude is extremely important. 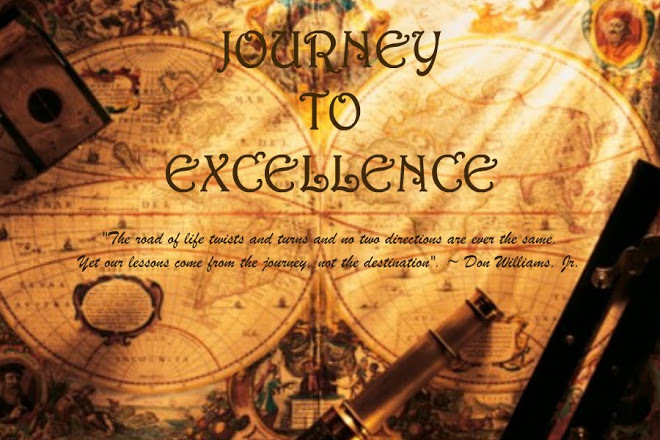 Excellence is not just a skill like those skills you require for doing anything correctly and nicely. 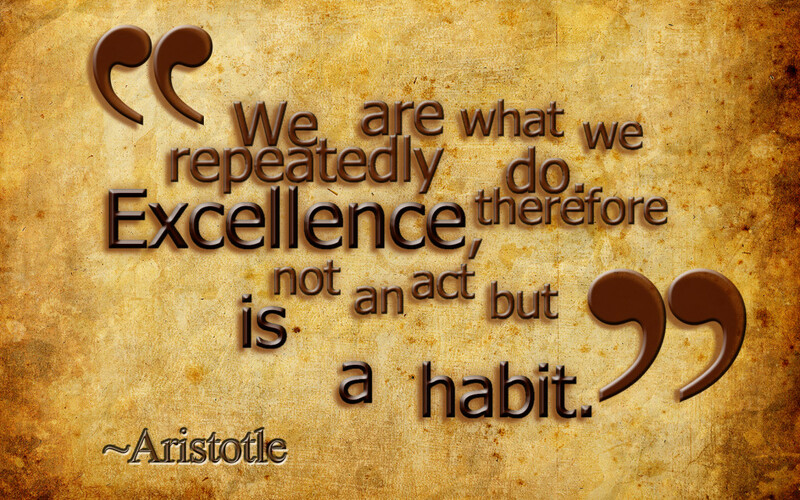 Excellence is your attitude to do every job with at most care and while enjoy at the same time. Precision and enjoyment may appear to be incompatible but they are not. There is no doubt that you have to follow this practice of using eye for detail and getting satisfaction for following the finer details at the same time. Step3. The good news is that there is no preparation required to pursue excellence for the leader. It depends entirely on their choice- decision and determination to follow the decision. One may decide just now that henceforth from the next moment onwards he/she will do everything while pursuing excellence. Sometimes there may be time constraints and other such difficulties. But the pursuit of excellence teaches you make best use of the available resources. Some people talk of discipline. 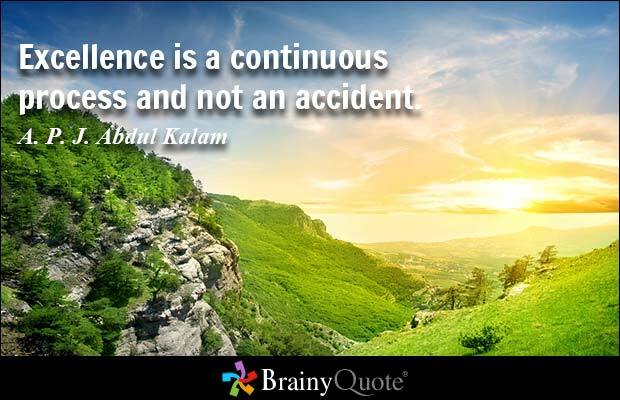 Excellence is not discipline. It does not ensure quality of work which can be classified in the required category. Discipline is defined as that you must do something at a time when it needs to be done even when you don’t like to do. In a way it cages you while the ‘excellence’ knows no such restrictions. It emerges from the application of your mind and the joy that your draw out of doing something that you like to do. Step4. The 4th important step that leader must take is to accept responsibility for excellence in a group life. The leader does not teach his follower to achieve perfection. Perfection is unattainable. But when you chase perfection you catch up with excellence. The leader ensures that his/her followers understand it very well. Such leaders have the ability to motivate the followers to such an extent that the commitment of the followers becomes as strong as that of their leader. This is particularly true in respect of the political leaders. Dr. Martin Luther King is one such example. But for him Barak Obama would not have become the President of USA. This entry was posted in Uncategorized and tagged Attitude, Dr. Martin Luther King, Excellence, Excepting responsibility, Implementation, No preparation required, Preparation required, Self Awarness, Wing Realistic. Bookmark the permalink.